Technology has immensely involved in each and every area of our life that really worked wonder. Teaching through technology has reduced the burden of teachers. By using applications, teachers can manage their lesson plans, curriculum, activity designs and much more. It saves precious time of teachers and it is easy to get back to older lessons planned. They are user friendly and easily accessible. Below we are listing best seven apps for teachers that can help them in managing curriculum and syllabus. These apps surely teachers can integrate in teaching life. An amazing app that encompasses a bulk of DIY projects. It is a guide with applicable experiments of science and other merit badges. Are you looking for a classroom maker project? Do you have inventor and creative students? Here you will find all you want, either you need guide or wish to upload their work to share with others. It will certainly encourage the children on their effort. Still tired of managing handouts and notes for each class? This one is best for you teachers. Teachers love this note taking app because of this reason. All of the projects can be shared with students through shared notebooks. Also assignments can be posted on the Assignment shared notebook that is available for parents easily. For creating quizzes, teachers can use this app. 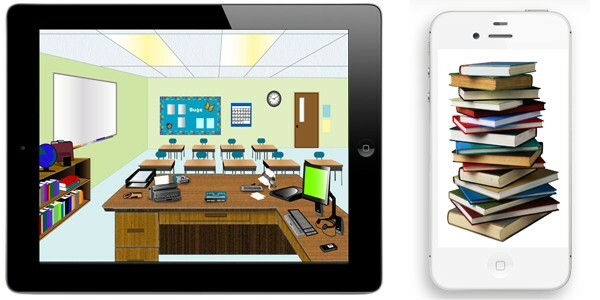 It is more fun and interactive for teachers because it is innovative way of making quiz for students.This app is web based which allow teacher to do changes according to the class need and students’ requirement to very basic level. A latest technology app, Plicker goes perfect with low tech classrooms. The class, where students have ipad and smart phone devices for answering to the activity of rapid response on short question, is quite easy. But Plickers is a solution for more low-tech classrooms. Teachers issue cards that have options like A,B,C,D for answer. The teacher asks a question which she already have with herself and then students answer to the question by selecting the best choice. The teacher then uses her phone or iPad to scan across the room and Plickers intelligently registers the results and feeds it all into a database.It is available on web for free also can be used on android devices. Here comes an app that offers 25 online spelling games. Teachers can customize accordingly: which word they like to use for a sentence.It has a best feature that connect the vocabulary to other classroom content and share what’s going on in class with parents.The basic version is free. I phone users can have it also available on Web for all. Teachers can keep a record of behviour and attendance on daily basis through this app. It is convenient to use and fun. During quick attendance, teachers can add remarks to each child depending on a child’s actions that day. Teachers found it very effective of being tracking app for individual student. It works on iPhones and iPads, as well as Android phones and the Web.